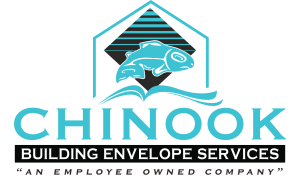 Chinook has a dedicated staff whose sole responsibility is to make sure each and every customer is 110% happy with their experience. We carry the highest level of certifications and accreditation in the industry. Chinook Roofing is what you value and respect in a roofing and gutter contractor. We know what to focus on and how to build that into a unique customer experience. Throughout the Tacoma, WA, area, Chinook Roofing is hard at work, teaming with trusted, national homebuilders to put up new residential construction and make dreams come true. Quality roofing is an investment in your company’s future. Trust your roof to the trained professionals of Chinook Roofing for every type of roof. Careful inspection, prompt repair and ongoing maintenance are keys to protecting the big capital expense you have incurred in your commercial roof. Composition roofing is one of the most cost-effective and reliable roofing materials you can buy. Laminated asphalt composition roofing shingles are available in a wide range of visually appealing effects, designs, and colors. Chinook Roofing is proud of our partnership with the best asphalt shingle manufacturers in the Puget Sound region. Single-Ply roofing systems are the most recent evolution of roofing technology, consisting of insulation, a thermoplastic membrane, flashings, and fasteners or adhesive. TPO, PVC, or EPDM membranes are an ideal solution for retrofitting your Seattle or Tacoma area commercial roof. Single-Ply roofing systems have gained in popularity over the past few decades due to their flexibility, ease of installation and competitive price. Metal Roofing has gained popularity in recent years due to great advances in finishes, panel designs, and installation. Metal Roofing comes in many different colors, gauges, and profiles. It can be installed on a variety of roofs and slopes, and requires very little maintenance or cleaning. Chinook Roofing is proud to be one of the Puget Sound's only authorized installers of TufDek vinyl decking membrane. TufDek is an industry leading manufacturer of waterproof vinyl decking for use on outdoor living spaces including waterproof decks, balconies, sundecks, roof-top patios, walkways, stairs, and above grade concrete slabs. Chinook is an authorized installer of the Laurenco Waterproofing System. This class leading system utilizes two part inter-reactive membranes, woven glass membranes, and a rubberized asphalt adhesive. The adhesive and the roll are chemically bonded to provide our customers with a monolithic waterproofing sheet that is durable and protective. Our team of knowledgeable, factory-trained gutter professionals are ready to serve you anywhere in the Puget Sound region. We are trained to provide you with the gutter solutions you need as well as the quality you deserve. No matter how complex the job, we have the experience and knowledge to do it right the first time.